Providing information to help you make business decisions. Comparisons with previous years etc. Preparing management accounts can be time consuming, especially if you keep manual records and are not familiar with spreadsheets. We can take over the process for you or, if you are thinking of using cloud accounting, we can set you up and train you to use the software. 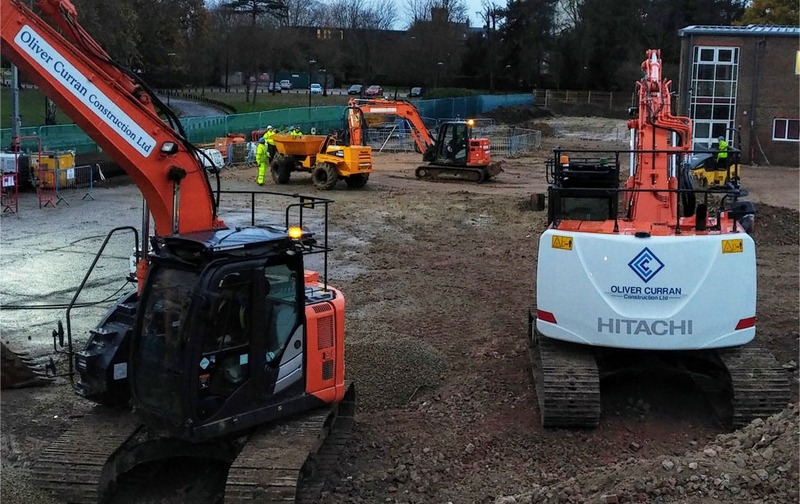 We were a very small construction business carrying out groundwork and civil engineering in Oxfordshire. We grew quickly, expanding our work area and turnover, and needed help setting up a proper bookkeeping system. AMS provided support and set up a Sage bookkeeping system for us. They also assigned Laura to us, an experienced accountant who is available to discuss our business whenever we need assistance. AMS is in the background supporting us through our continued growth. We are now ten times larger than when we first hired AMS and they have been our backstop all the way through. We work with Small Businesses and Contractors who expect us to give good advice and help them save tax. Our library of 80+ short videos was produced in-house by us to help with all aspects of being in business and we are often praised for their simplicity on complicated matters. We feel it’s important that we and our clients keep abreast of changes to tax law and advances in technology so we provide solid tax advice and help with bookkeeping. This includes support for people who are making the move to cloud accounting software. We are very happy to meet you to discuss your business or even your idea for a business. We will advise you on the most tax efficient structure if you are setting up and we can review your business if you are already trading.